Eerie, yet pretty and enticing, I was absolutely intoxicated by this creepy tale. I just can’t get my head around the story. I hardly ever make notes while reading and I’m ever so lucky I was reading on a Kindle that allows you to write what you think as you read. I don’t think I could have held all those thoughts. .
Perhaps the thing that stood out to me the most, was the writing. I knew from both the title and vague recollections of what other reviewers had said that the writing style was going to be different. The weirdest thing, however, was that it could be so pretty but seem detached at the same time. It was really different and really hard to explain. Indescribable. Detached isn’t a bad thing at all but what I am trying to say is that was pretty and distant and you felt included in the story. Boy, was it creepy. The town became so messed up and it was terrifying to think of kids running around with stakes, crazy bad guys and towards the end even creepier. It just got creepier and creepier. I’m not saying that the pants are going to be scared off you but I don’t really get creeped out in books often. Then there was River. Confusing, complex River. The lies, oh the lies. Even after finishing the book, I have no idea how many lies River told and what to make of him. The most mind-boggling part was his reactions. I had so many questions about his reactions and whether he was good, bad and most importantly, could he be trusted. But there must have been some serious force, love or glow, behind the relationship between him and Violet, that was strong enough for Violet to overlook his wrong-doings and keep going back to him and usually that may be something that annoyed me, but not really (maybe a fraction) this time. In fact it became really strange – and almost scary – what she let him get away with. The character building was fantastic. You could see that Tucholke has put so much thought into building up the detailed characters of this story. Each one was very complex and so built up that it became easy to distinguish them and I feel like I know a lot about each of them. They were very…unusual as well. Not your average, run of the mill, stereotypical characters. Oh no, so much more than that. They weren’t exactly the nicest but without them, the story would have been an incomplete jigsaw. On the topic of characters, some of them were completely crazy. Insane. Perhaps that’s what made the end so scary – they were so wild and unpredictable that it was virtually impossible to know what was going to happen. I held my breath a lot. I don’t know if this is true, or if anyone else who has read this book would agree, but there were a lot of symbols. Particularly with red-hair and bonfires. Just an interesting point I feeI have to make. I really loved the relationship between Freddie and Violet. It was very sweet and I know that grandmothers are role models in a lot of YA, but once again, this was different. Freddie’s character seemed different and she was very interesting, you just know there has to be more to her. The other thing I loved, was the setting. It was flawless really, just perfect for this story. The coast and a big house really tie the story together, for me anyway. It just works. Plus it added a cold and mysterious atmosphere and I can honestly not think of a better setting. And the cover is gorgeous. One of the main, particularly prominent questions on my mind, is whether I really need a sequel. I know that there is going to be a sequel and I know that I probably will read it if I’m given the chance. The thing is, I feel like the story should have ended there and it could have ended better (obviously done so that there could be sequel). I did and didn’t like the ending because I liked the way it didn’t end as I expected but it didn’t end like I wanted it to. I would like to read a sequel but for some reason, the story is complete in my head. 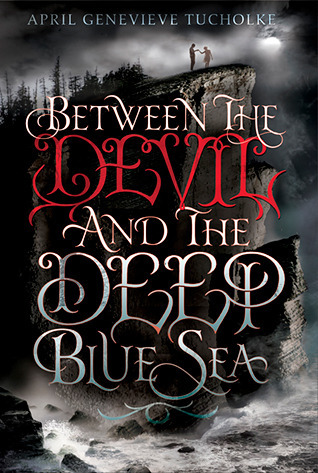 I would recommend Between the Devil and the Deep Blue Sea to anyone looking for a different, intense, creepy story packed with action and intrigue. 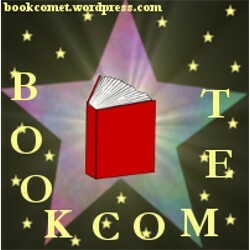 Perhaps to due to some of the themes explored, maybe teens and up.